Throughout human history, narrative, a.k.a. storytelling, has not only been a tool for understanding the world around us (see: any creation myth) but also a way to understand other perspectives. We get carried away in experiences we could never have in our real lives (see: any movie about suffering, heroism, or revenge), but we have the chance to imagine what we would do in our favorite character’s shoes. Of all the elements of a story, a character’s style is special because it’s usually the easiest part to imitate, and dressing like a character connects us to their story in a physical way. From tricked out cosplay to something as simple as copying James Dean’s jeans and t-shirt look, emulating a character’s style can make you feel a little possessed by their power—this is why you may feel more elegant dressed as Audrey Hepburn in Sabrina, but more powerful when you dress like Uma Thurman’s character in Kill Bill. It can seem like a simple formula of I wear, therefore I am, but it’s much easier to relate to a character and their story, no matter how fantastic, if you can see some part of yourself in them. Not all stories resonate with all people, and a dissatisfaction with representation in modern media is what’s getting artists like Princess Nokia and Lupita Nyong’o loved up by people who feel like they never get to see a version of themselves being awesome. Spinning a story from scraps of myth and modern Vietnam, Huynh became both an illustrator and fashion designer when creating meaningful outfits for each character. Just like a fashion designer has to create a cohesive collection with an overarching theme in mind, Huynh had to make sure each character’s style was unique without being so different that they didn’t feel natural as a group. From their gang souvenir jackets to their everyday outfits, fighting weapons, and mopeds, each character’s style was drawn with careful consideration of how they fit into their environment. Huynh broke down each character’s personality and created styles to match. 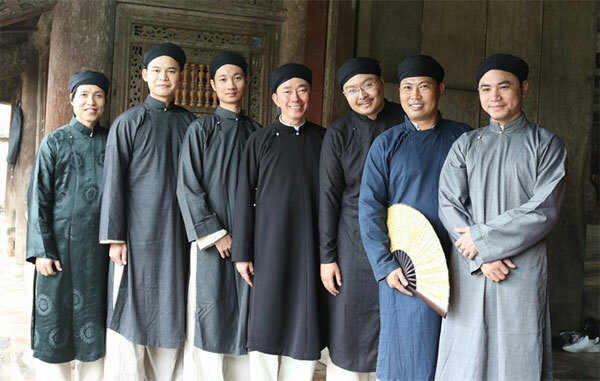 Huynh built up a following of first and second-generation Vietnamese fans while creating the artwork for Hai Bà Trưng, and she continues to use their support to motivate her as she develops the graphic novel. Using self-exploration and cultural research, Huynh is dedicated to making a work that strikes a chord through style, story, and design. To keep up with Tori Huynh and Hai Bà Trưng, you can visit her website here. All images courtesy of Tori Huynh.